A new, fun and unique way to strum your guitar and ukulele without dropping the pick - either into the sound hole or on the floor! Using the Little Strummer avoids sore thumbs - and it is very difficult to lose! 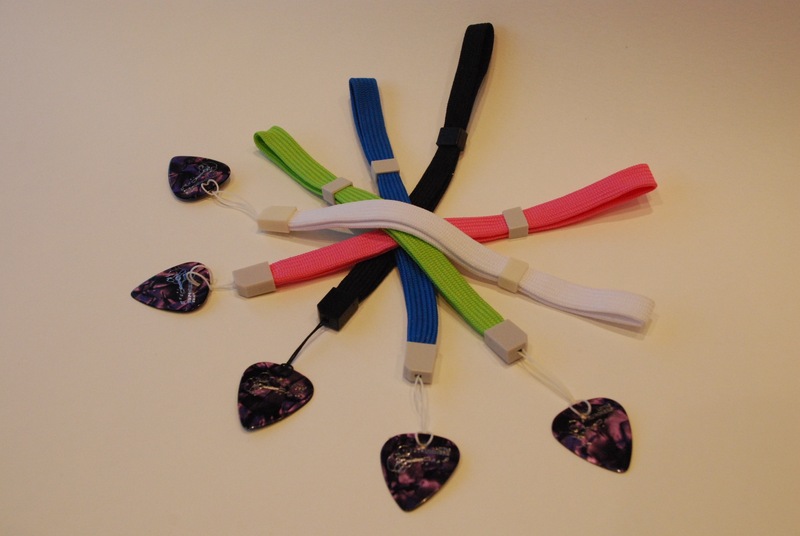 Using a pick or plectrum helps you or your child to strum the strings confidently. Strumming with your thumb, especially early on, can cause your skin to become sensitive or cause a small blister to form. 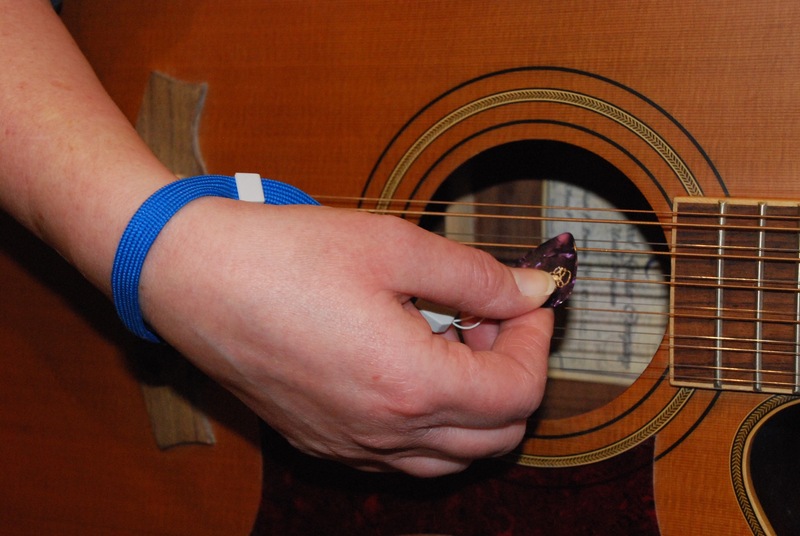 Using a pick or plectrum is a good way to help prevent this and still create a rich, smooth, clear sound with no pain. 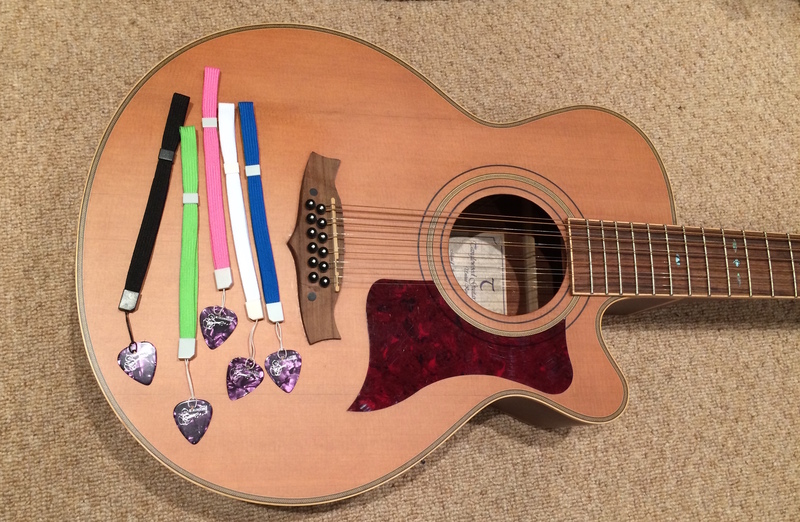 The downside is that plectrums are difficult to keep hold of! Very often, they drop into the sound hole, fall on the floor or shoot across the room! And, they are always getting lost. 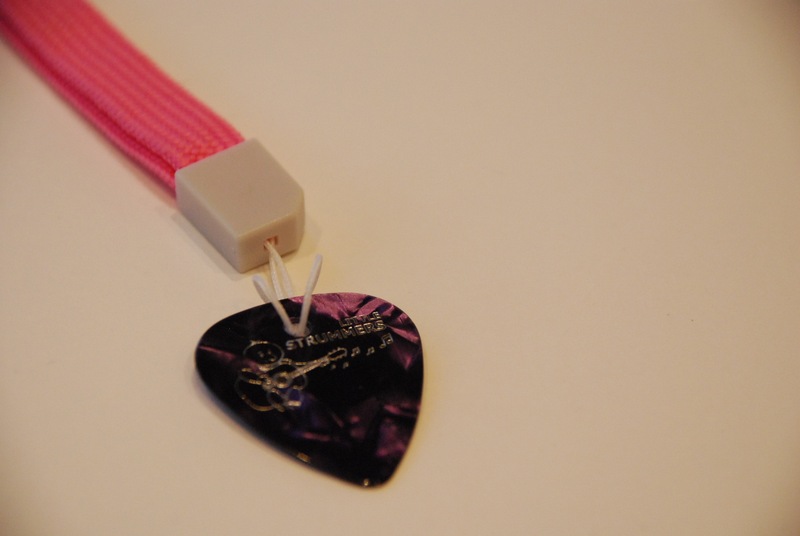 The new 'Little Strummer' is a brilliant way to keep hold of your plectrum. The wrist band is fully adjustable so it comfortably fits everyone. When not being used, it can be threaded over the top of the instrument near the tuning pegs so that it doesn't get lost. Please state your preferred colour when you place order - thank you!